Do you pay to have green waste collected? My green waste bag is collected for free each and every week. I thought that was the norm, but it appears it’s a different story for many in the UK. Some people are now paying extra to have their green waste taken away. According our latest research, around a quarter of people have to pay an extra charge on top of their council tax to get their green waste taken away. Our figures are broadly in line with the latest figures from Wrap (Waste & Resources Action Programme) from 2011/12, where 31% of households in England and 27% in Wales paid to have garden waste collected, compared with no charges in Scotland or Northern Ireland. The services offered by councils differ around the country: some put out bags, others bins; some pay an annual fee ranging from £15 to £90, others pay per collection. 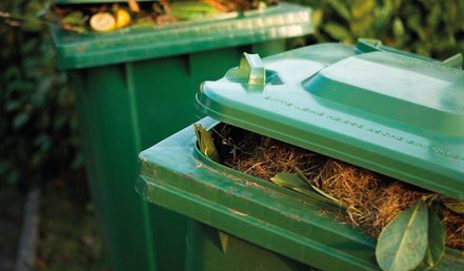 Some councils sell the composted green waste back to residents for use as a mulch or soil improver. While most people appear to be happy with their collection service, some say that it’s not regular enough or that it doesn’t collect all of their waste. Of those who have to pay, some are not happy with the extra charge – several people told us that they think it should be included in their council tax bill. Only about half of Which? members who have to pay for the service choose to do so. The rest of them compost the green waste at home or take it to a local recycling centre. A handful even admit that they put green waste in their ordinary rubbish bin! Our members’ views are echoed by my colleagues in the Which? Gardening office. Our editor, Ceri Thomas, and our senior researcher, Adelaide Gray, both live in the same borough in Buckinghamshire and are charged £28 a year to have their green waste taken away. Ceri has chosen not pay the charge, preferring to compost at home. She then takes the excess to her local recycling centre. On the other hand, Adelaide has opted to pay for the service. Despite having two compost heaps, she generates more green waste than she can handle and would rather it was taken away. She’s also reluctant to put grass clippings that have been treated with a weed and feed into her compost bins. And rightly so, they contain weedkillers and should not be put in the compost bin for at least six months. Clearly many councils are having to make tough decisions about which services they can run. And arguably it’s greener to compost at home than to send a fleet of vehicles to collect green waste. But not everyone has space for a bin or heap, and often the garden generates too much green waste anyway. So is charging to take it away really the answer? I do not have to pay extra for the collection of green waste. Most of mine is home composted so the bin is hardly ever full. I would thoroughly object to paying extra for this service as the Council is always promoting recycling and for which we already pay in the Council Tax. I live in Somerset and now play £45 a year for garden recycling. Next year I intend to follow the majority of my neighbors and cancel as the cost is excessive. Our council (Chiltern District) introduced a new system for recycling a couple of months ago, and I think it’s fantastic! They never used to collect garden waste before but now they offer a fortnightly service for £35 a year (£28 for early payment). I have opted to pay and so I now have a green wheelie bin instead of my tumbler composter. At this time of year, I am generating too much garden waste to fit in the bin so I’m just keeping it for the next collection as eventually there will be weeks when I have very little. I’m quite happy to pay and I don’t want the cost included in my council tax as I don’t want that to go up – and it’s good to be able to opt out if I need to. The council have also introduced other collections for free that we’ve never had before: food waste (weekly) and plastics (hooray! ), batteries, and textiles (fortnightly). These are in addition to the existing collections for paper and general rubbish. For twelve years we have had our green waste collected free of charge, this year however, Waveney District Council now charge £45 a year to collect green waste. This is the thin end of the wedge, next we will will be charged for our other two bins. I wouldn’t mind so much but we only have fortnightly collections anyway. Yet again we have to pay for a poor service. I for one will not pay.